7 movies screening this week in Portland. Check out our feature on NW Film Center's David Lynch retrospective, which kicks off this week, here. We also reviewed a documentary about 8 artists trying to make a comic book in 24 hours at a Portland comic book shop, which premiers this Thursday. Conventional Hollywood wisdom dictates that animated children's movies must vigorously trumpet the merits of kindness (good!) and condemn the evils of selfishness (bad!). Yet that memo clearly hasn't reached the makers of this anarchic entry in the Despicable Me franchise, in which the bulbous, reformed supervillain Gru (voiced by Steve Carell) finds his lust for mischief is stoked by his twin brother, a cheerful moron named Dru (also Carell). Among their adventures is a tussle with the mullet-sporting master criminal Balthazar Bratt (Trey Parker) that allows for plenty of delightfully nonsensical scenes, including a dance-off that features Gru and Balthazar busting moves to Madonna's "Into the Groove." Like the film itself, that scene eschews forced wholesomeness and delivers a truckload of dumb fun—which, in an age when even witless entertainments like The Mummy arrive swollen with pomposity, is a minor miracle. PG. CRITIC'S RATING: 3/4. BENNETT CAMPBELL FERGUSON. Bagdad, Beaverton, Bridgeport, Cedar Hills, City Center, Clackamas, Division, Eastport, Lloyd, Milwaukie, Moreland, Oak Grove, Pioneer Place, Roseway, St. Johns Twin Cinema & Pub, Tigard, Vancouver. The second reboot in a cinematic series that's merely 15 years old is as interesting for what it leaves out as for what it tackles. There's no damsel in constant distress. No revisiting the murder of Uncle Ben or a radioactive spider bite. Hell, there's not even a world-threatening conflict. Instead, director Jon Watts takes Spidey's first solo outing in the Marvel Cinematic Universe and puts him up against something far more daunting: high school. Sure, Peter Parker (Tom Holland, returning after a star-making turn in Civil War) has to face off against Michael Keaton's snarling winged menace Vulture. But he also has to find a date to homecoming, train for the academic decathlon and deflect bullies, all while learning to control his newfound superpowers under the tutelage of Tony Stark (Robert Downey, Jr.). As such, Homecoming is as indebted to John Hughes as it is to Stan Lee. There are some excellent, showstopping action sequences sprinkled across the runtime, but Homecoming takes greater pleasure in watching the gawky Holland's trial-and-error as he navigates his sophomore year. It's a sunny, breezy comic-book romp of little consequence. In an age of glowering caped crusaders, Homecoming reminds us that we should be having fun watching men in tights smack into walls. PG-13. CRITIC'S RATING: 3/4. AP KRYZA. Bridgeport, Cedar Hills, City Center, Clackamas, Division, Eastport, Lloyd, Oak Grove, Pioneer Place, St. Johns Twin Cinema & Pub, Tigard, Vancouver. Though his work (mostly) isn't nearly as weird as it's widely believed to be, you're going to want to limber up your mind for this Lynch thing nonetheless. Spike Jonze and Charlie Kaufman's meta-film stars Nicolas Cage as Charlie Kaufman, who suffers through a series of personal crises as he struggles to adapt Susan Orlean's The Orchard Thief into a screenplay. WALKER MACMURDO. Laurelhurst, July 7-13. Fresh off the heels of underrated goofy space horror Alien: Resurrection, Jean-Pierre Jeunet directed this foundational document of mid-2000s quirk. It stars Audrey Tautou as Amelie, a young woman who floats through the streets of Paris arranging serendipitous meetings of lovers. WALKER MACMURDO. Mission, July 7-14. If you haven't seen Eraserhead yet, now's the time to catch the film that inspired more art school students than any other, screening alongside a collection of Lynch's early shorts. 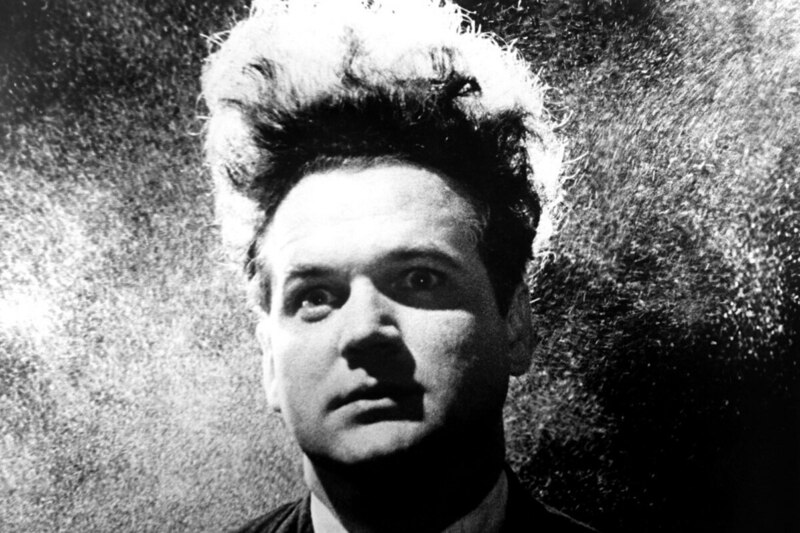 A reflection on the crushing pressure of domestic life after being abandoned by his wife, Henry (Jack Nance) is left to care for his deformed child in a one-room apartment in an industrial wasteland. WALKER MACMURDO. NW Film Center's Whitsell Auditorium, July 7-8. The student-run 5th Avenue Cinema is back for summer school, and they're kicking off their program with E.A. Dupont's proto-noir about an aging dancer in West London who must compete for stage time and her lover's (Jameson Thomas) attention with the scullery maid Shosho (Anna May Wong). WALKER MACMURDO. 5th Avenue Cinema, July 7-9. The summer blockbuster that was born on the beaches of Massachusetts. 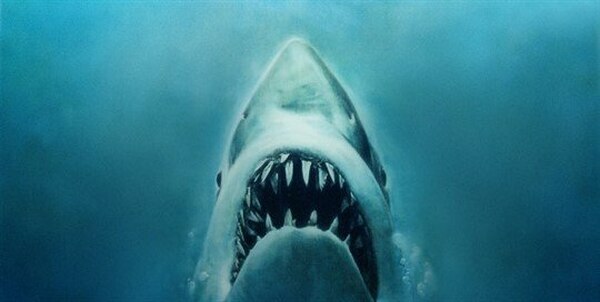 A film as famous for its production delays, technical wizardry and establishment of the big-money Hollywood blockbuster business model as it is for its great white shark, Steven Spielberg's story of an unseen terror on the beaches of New England is one of the most important films of the last 50 years. See it on 35mm as part of the Hollywood's Spielberg on Film series. WALKER MACMURDO. Hollywood, July 7-8.